Luxurious full coverage client cape. 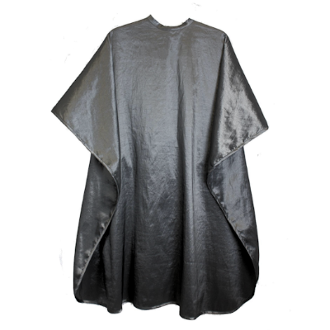 This DS DuraLuxe(TM) Platinum Cape is designed for full client coverage in a gorgeous Faux Silk material in a Platinum color. Water resistant with snap neck adjustable closure. This professional material is long lasting and durable with a beautiful soft shimmer effect. Refined and glamorous, this luxurious cape pampers and protects your client . Easy care, machine wash. OSFM.